Audi won the 24 Hours of Le Mans for the ninth time by taking the first three places. Nothing to argue here. The germans had the best cars and the best organization. Unless some new challenger comes up next year (or Peugeot gets way better! 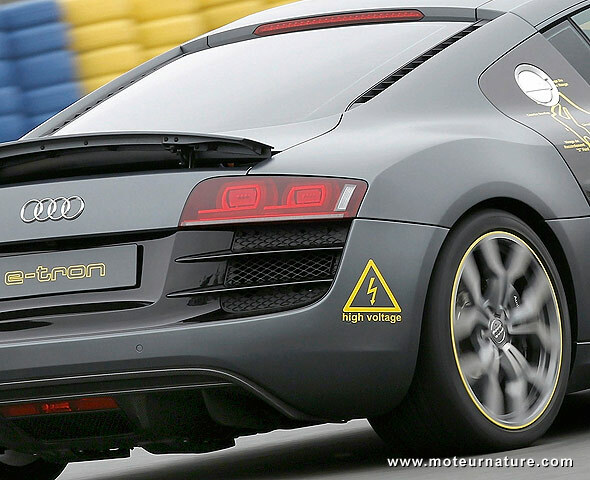 ), the french race is about to become a garden party for Audi. But winning the race was not enough for the german brand. 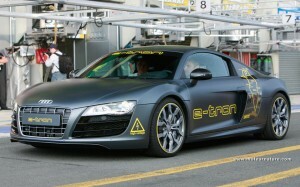 To show that Audi also looks forwards, with new technologies, an electric car was there. 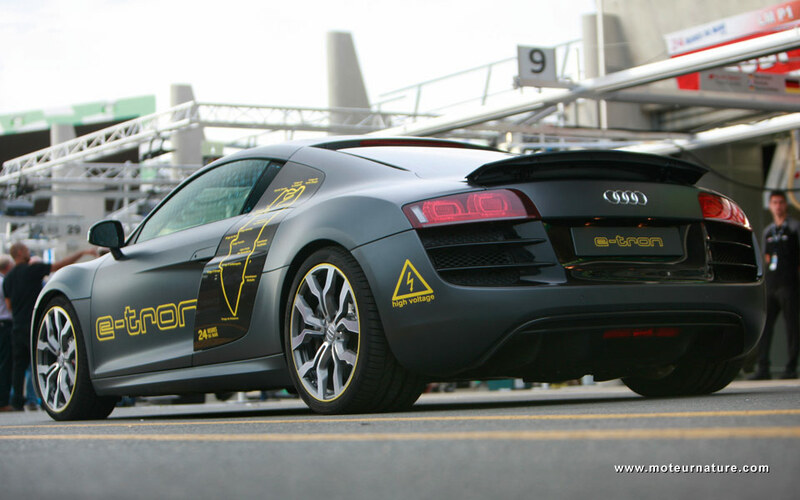 We recognize an R8, and that alone is a surprise. 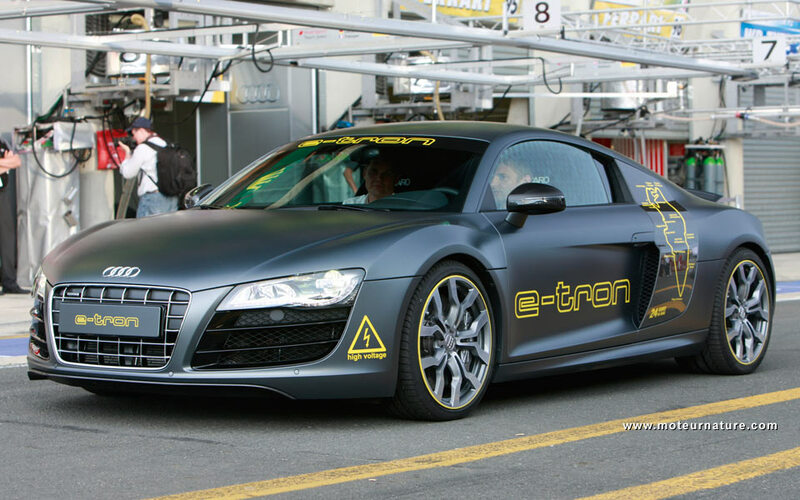 I’ve seen the first Audi e-tron last year in Frankfurt, that car was looking a lot like an R8, but it was also significantly different in several points. Most notably, it was a bit smaller. It was a showcar, whereas the car that was at Le Mans was fully roadworthy. With so much people and noise, I guess very few noticed that none was coming from the car. The absence of a tailpipe was a sign, with of course the graphics. That car is still a prototype, but many engineers are working on the subject, and as Audi said it earlier, we can be pretty confident there will an electric Audi in the future. 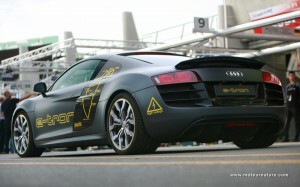 That shall be in 2012, with the best architecture in the industry: one motor per wheel, and no transmission.